We offer Microsoft Azure analytics as a completely managed platform to assist your business. Azure Apps are fully managed and optimized for Machine Learning and Artificial Intelligence. Azure Mobile Apps allow you to connect a scalable cloud backend to mobile applications. Azure Apps are fully managed and optimized for web hosting and web applications. 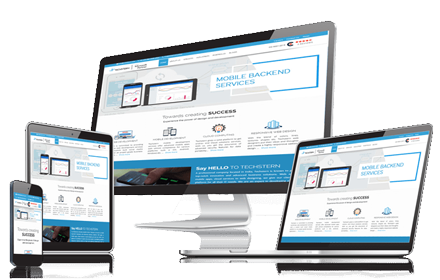 Our team of world-class development specialists has a focus on innovative responsive website design and development, integrated e-Commerce website design, Mobile & Web Application Development and Strategic Digital Development for businesses of all sizes. Migrating applications to Azure require Cloud IaaS strategy that can address unmatched security. "Thank you for creating and implementing the online quiz module in a very short span of time which helps us in conducting the online exam flawless and without any interruption."